344 pages | 7 B/W Illus. 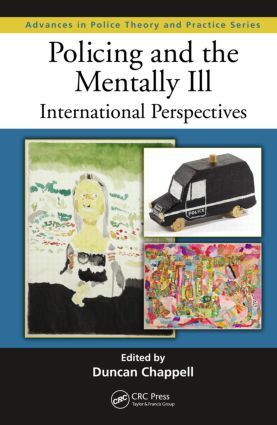 In countries with democratic traditions, police interactions with the mentally ill are usually guided by legislative mandates giving police discretion and possibly resulting in referrals for assistance and treatment. But all too frequently, the outcome of these interactions is far less therapeutic and leads to a cycle of arrests and ultimately incarceration. Stemming from an initiative in Memphis, Tennessee two decades ago, police departments in many parts of the world have set up specific programs with crisis intervention teams to facilitate police contact with the mentally ill. Policing and the Mentally Ill: International Perspectives examines how these types of programs have fared in jurisdictions across the world. Interactions between police and persons with mental illnesses comprise an important and sensitive aspect of everyday policing. The 16 chapters in this book offer a wide range of cross-cultural perspectives on this essential aspect of policing, enabling police practitioners to develop a best practices approach to managing their interactions with this vulnerable segment of the community. Duncan Chappell, a lawyer and criminologist, is currently an adjunct professor in the Faculty of Law at the University of Sydney, Australia; a conjoint professor in the School of Psychiatry in the Faculty of Medicine at the University of New South Wales, Australia; and an adjunct professor in the School of Criminology at Simon Fraser University in Vancouver, Canada. He is also chair of the International Advisory Board of the Australian Research Council Center of Excellence in Policing and Security. He is a past president of the New South Wales Mental Health Review Tribunal and a past director of the Australian Institute of Criminology.